Eagle Battalion Cadets participate in their first Drill Meet. The meet was held at Overhills HS on 18 Feb 2012. The Cadets performed and represented the community well. The William G. Enloe High School Army JROTC Program was established in the 2011-2012 school year. The program initially started with 98 cadets. MAJ Robertson arrived at EHS on 17 October 2011 and SFC Williams arrived on 29 November 2012. The Army JROTC mission is: "To Motivate Young People To Be Better Citizens." The course carries a full elective credit. The JROTC curriculum includes: Character and Leadership Development, Foundations of Success, Leadership Theory and Application, Citizenship and American History, Wellness, Fitness and First Aid, Geography and Earth Science, Financial Management and Service Learning. While there are no military requirement following completion of Army JROTC, cadets who complete two or more years of the JROTC Program may enter the military at an advanced rank. 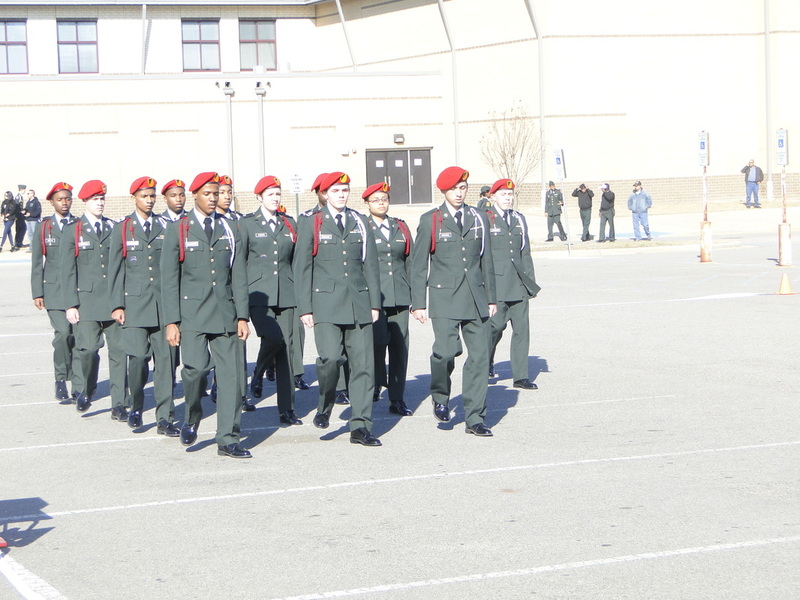 The cadet battalion is organized into six companies, Headquarters, A, B, C, D and E each with two platoons. The battalion headquarters includes the battalion commander, executive officer, adjutant (personal), operation and training, supply, public affairs officers, and the command sergeant major. In addition to maintaining exceptional curriculum grades and wearing the uniform once a week, JROTC cadets support a wide range of school and community activities. They participate in parades, summer camp, a formal military ball, color guard presentations, school assemblies, raider competitions, drill competitions, and basketball games. They will take field trips to places, which are historical, educational, interesting, and fun. Cadets organize fund-raising and participate in patriotic projects. The Army JROTC Program of Instruction teaches high school students the value of citizenship, leadership, service to the community, and personal responsibility, while instilling in them: self-esteem, self-discipline, and teamwork. Its focus is reflected in its mission statement: "To motivate young people to be better citizens." JROTC cadets are expected to wear the uniform, conduct career planning, develop planning skills, participate in cadet challenge, engage in leading situations and orienteering. Participation in after-school events is required.